HEALTH CRISIS IN PUERTO RICO AND THE CARIBBEAN! Due to back-to-back hurricanes, a health care crisis has emerged. Some nursing and medical personnel from the US have arrived—many of them volunteers who can only stay for a limited time—but the critical condition of the health care system in Puerto Rico pre-hurricane has only been exacerbated severely by the storms. As we get more information about the Virgin Islands, we can assess the situation there, which we suspect is also in a grave state. This map shows Maria's path of destruction through Puerto Rico and the Virgin Islands. Project NYSNA nurses, RN Response Network (RNRN), AFYA Foundation, AFL-CIO, and others have responded to the call sent out asking for volunteers to assist in medical recovery efforts, with nearly 300 people offering their services. The state of New York has been instrumental in facilitating these efforts. We are fortunate to be able to collaborate with the General Union of Workers (UGT)/1199, the organization which represents thousands of health care and public service workers on the island. We have also been able to work with the Teachers Federation (FMPR), Comedores Sociales (a community-based soup kitchen), and other grassroots groups providing community services. 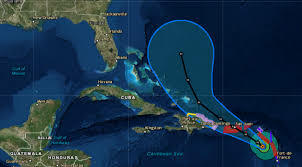 UGT/1199 In coordination with UGT, our official sponsors in health care on the island, we have identified several regions in which we can set up community clinics and door-to-door teams in hard hit areas. We have put together a collaborative proposal to staff 5 regions with nurses and providers for 7-10 day assignments on an ongoing basis, depending on the resources we gather. This ambitious effort requires coordination with our volunteers and their employers and it requires the capacity of UGT to provide locations and support. Funds are also needed—to pay for airfare, ground transportation, medical supplies, and miscellany. While this project is just beginning, we do not yet have the capacity to care for all those neither in Puerto Rico nor in the Virgin Islands who need our help. Your donations will not only fund our beginning model projects, but will allow us to expand into these other areas. PLEASE BE GENEROUS AND SUPPORT THIS MEDICAL SOLIDARITY MISSION TO EASE THE INTENSE SUFFERING OF OUR NEIGHBORS! 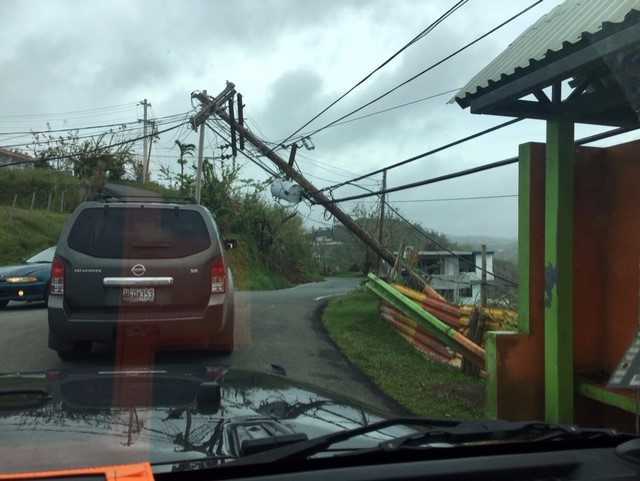 The devastation caused by the extreme weather events over the past few years has been overwhelming, but these two category IV & V hurricanes caused unprecedented damage in the region. While the communities in Texas and Florida are still struggling with the after effects of hurricanes, the situation in Puerto Rico and the Virgin Islands and remains dire. 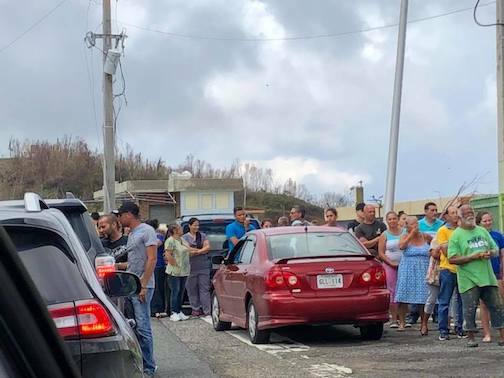 Puerto Rico—the only nation suffering from the additional restrictions of the US-imposed Jones Act (preventing any international aid from arriving directly to the country)—is facing the worst humanitarian crisis in the nation’s history. It is reported that 100,000 inhabitants have already fled the island. 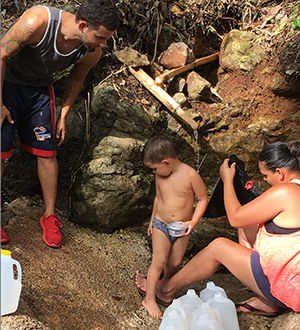 At least 80% of Puerto Rican homes remain without electricity and many have no water or water that is severely limited, and is not potable in most cases. There are almost no functioning traffic lights. Hunger is present as many remain without income. Critical tools and equipment are in short supply or disappear quickly. Were it not for the volunteer efforts of the people of Puerto Rico, as well as trade unions, non-profit and religious organizations, communities and members of the Diaspora, the situation would be unimaginable. It is only the resilience of those affected and the solidarity among all peoples that makes survival a possibility. And now, your donations as well!